Thinking about doing it yourself? Sure, you could build it. However, let's look at the total picture - honestly. You'll need to set aside a couple of hours for planning the design of your building and then creating a materials list. Let's not forget 10% extra for cutting waste and another 10% for unusable stock. Now you head for Lowes to pick up your material (assuming you have a truck). 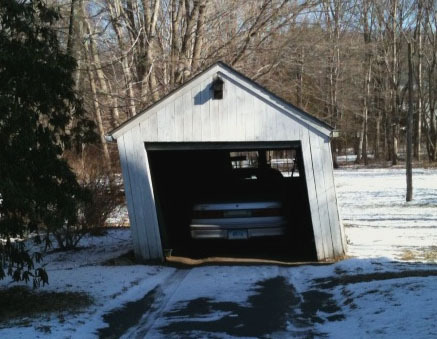 Depending on how many miles it is, and how big your shed is, figure you'll make that round trip at least 3 times. And don't make any construction mistakes or forget anything or you'll be going back a 4th time. How much time (and gas mileage expense) do we have invested now and we haven't driven our first nail? Did you remember to pick up that new saw blade? Figure with a buddy, you could knock the shed together in a weekend. Figure 16 hours for you and 16 for him. Add 32 hours for yourself if your buddy doesn't show up. And let's hope it doesn't rain. Ready for paint now? That will be a few more hours, plus paint, brushes, rollers, etc. (and another trip back to the store). Now let's look at your finished product. Is it perfectly plumb, level, and square? If you used vinyl siding, did you remember to "hang" it with the required 'looseness' to allow for expansion and contraction? Or did you nail it down tight? You'll be able to tell on the first hot day when your siding looks real wavy. Do your doors and windows operate smoothly and shut tight? On the inside, how does your construction look? Close tolerances with tight joints? Or big gaps? How many hours total did you spend on the project, including driving for materials? At mimumum wage, times your hours, what does that equate to? How much invested in materials, gas, and tools? All of our barns, sheds, and garages are pre-built inside our dry, well-lit manufacturing plant and delivered to your site fully assembled, finished, and ready for immediate use. Our sheds are built to the highest standards by our employees who do this day after day. Yes, we have it down to a science. All you have to do is stop in at one of our locations, pick out the building you want, decide where you want the doors and windows and choose among your other options such as roofing, siding and colors, and that's it. Now you can go play a few rounds of golf or go fishing, or go home and watch the game. Your completely finished shed will be delivered in a couple of days - bing, bing, bing. And more than likely for less cost than if you had done it yourself. At this time, we do not sell kits, however, if access to your location is restricted, we will deliver and assemble a shed for you. In some cases, we will ship a kit to a location that is outside of our normal delivery area. We may decide to offer building kits in the future for shipping to other states, if there is enough interest. Dealers are welcome - Please contact us for wholesale pricing.